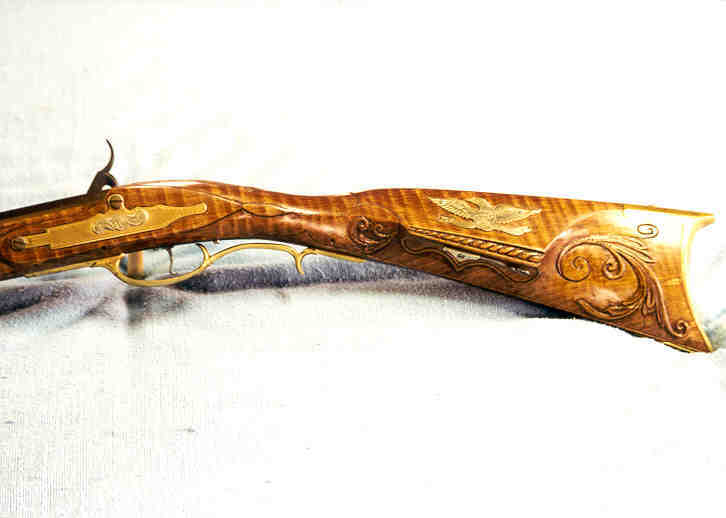 A Bedford County style rifle in 36-cal. 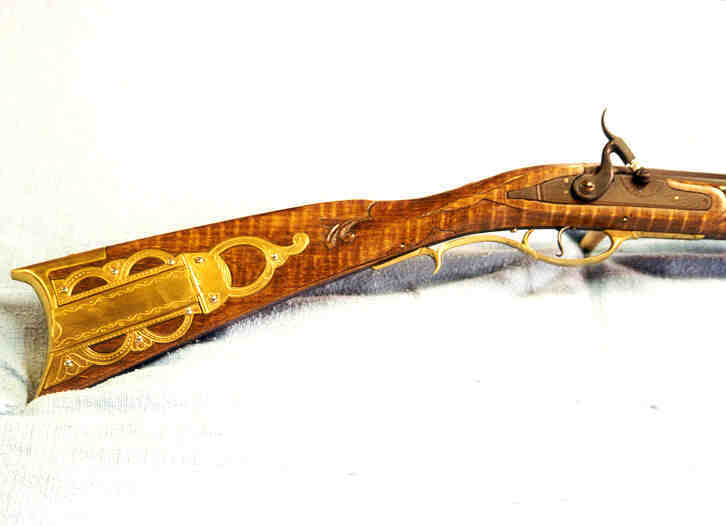 This slim rifle featured a typical Bedford County style percussion lock. The patchbox has a Q type final often used on these guns. The floral carving is also typical of this school that continued to build ornate guns into the percussion period.